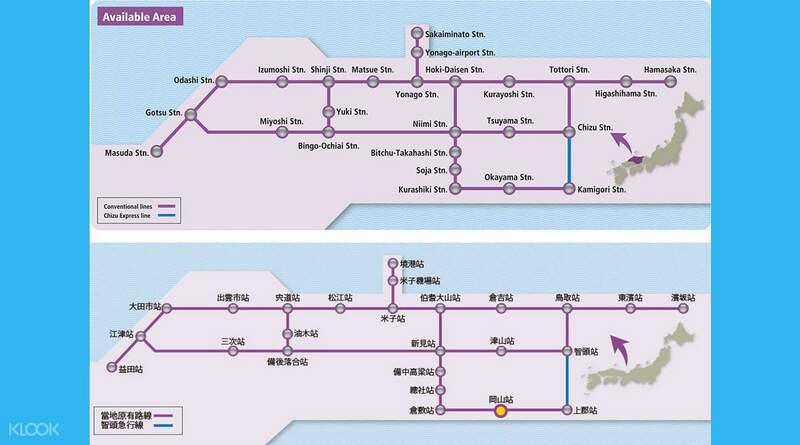 Access 4 days of unlimited travel in San'in and Okayama with a single Japan Rail Pass! 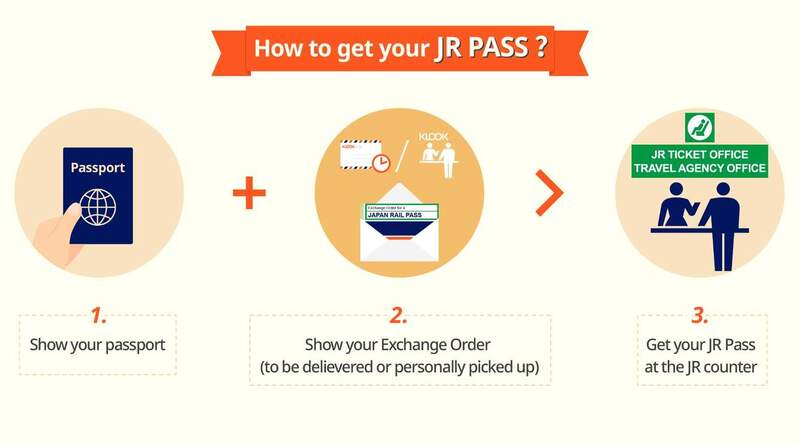 Simply book your JR Pass online and enjoy the delivery of your voucher straight to your door in Taiwan or conveniently pick up your voucher at Hong Kong Airport. Redeem your voucher for your Sanin Okayama Area Pass when you arrive in Japan and be ready to explore all of San'in and Okayama! For 4 days, discover mini caves, caverns, and rock archways of San'in or soak in the hot spring of Yumura Onsen. 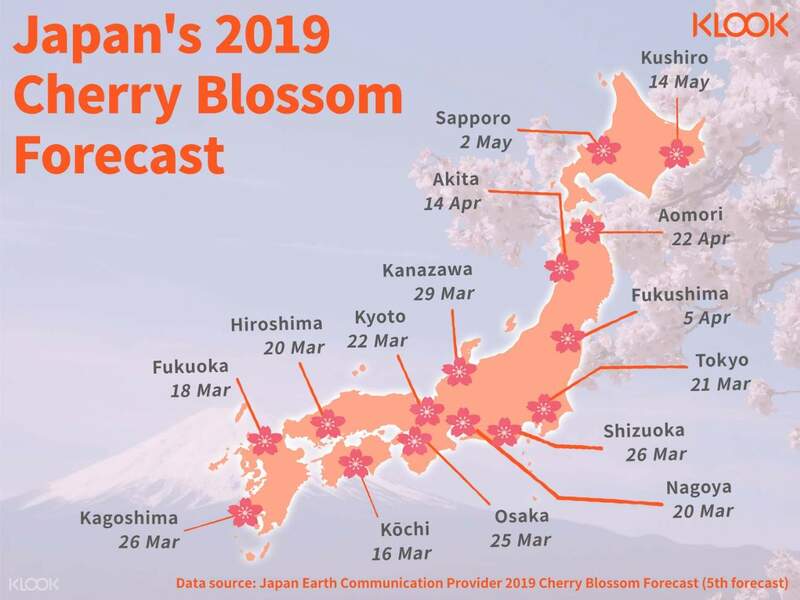 Travel to Okayama, home to the Korakuen Garden, one of the three best landscape gardens in Japan and the Okayama Castle right across from the garden. With just a single pass that works for all the Express and local trains in the area, this is definitely the easiest and fastest way to explore San'in and Okayama! A good pass to travel around San-in area! We went to Tottori and Yonago and had great fun! A good pass to travel around San-in area! We went to Tottori and Yonago and had great fun! Easy to use, perfect for exploring Central Japan, one of the most economical passes. Highly recommended to others. Easy to use, perfect for exploring Central Japan, one of the most economical passes. Highly recommended to others. Good to use the JR Pass to travel as tourist. The price is attractive and reasonable. 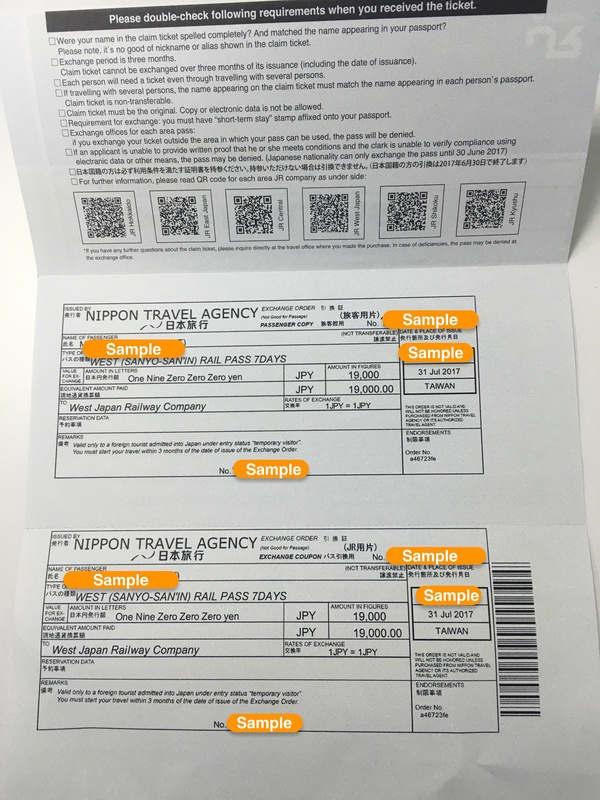 It is highly recommended to buy the JR Pass to travel within Japan. However, it was the unpleasant experience to collect the JR Pass in the office. Hope that this kind of service can be improved in the future. Good to use the JR Pass to travel as tourist. The price is attractive and reasonable. 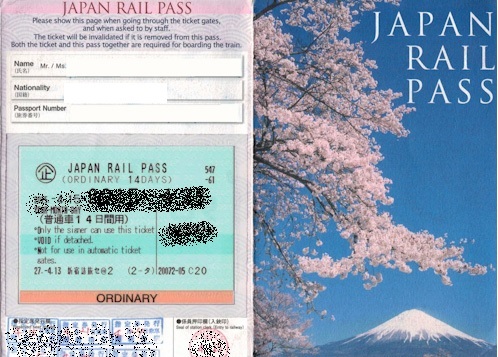 It is highly recommended to buy the JR Pass to travel within Japan. However, it was the unpleasant experience to collect the JR Pass in the office. Hope that this kind of service can be improved in the future. The information provided on Klook’s website is comprehensive. The buying process is simple and easy to follow and confirmation email was received in a couple of days. I selected to pick up my ticket at the Hong Kong International Airport and the collection process was done in a few minutes. It’s certainly a fantastic experience that all travelers would like to enjoy! The information provided on Klook’s website is comprehensive. The buying process is simple and easy to follow and confirmation email was received in a couple of days. I selected to pick up my ticket at the Hong Kong International Airport and the collection process was done in a few minutes. It’s certainly a fantastic experience that all travelers would like to enjoy! 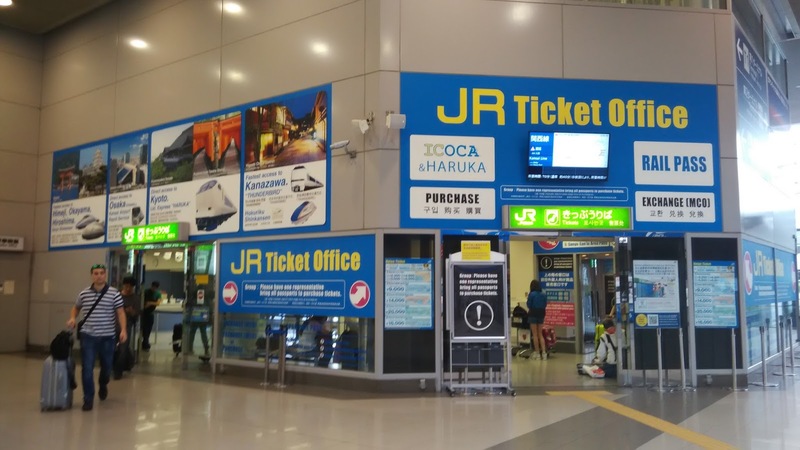 Online payment and redeem the ticket at airport,So convenient in using 4 days Jr san'in okayama area, I use to take limited express to travel around 松江 鳥取 米子 倉吉 快捷舒適 it save more time to travel and 超值優惠 buying in Klook. Highly recommended and the customer service is helpful. Online payment and redeem the ticket at airport,So convenient in using 4 days Jr san'in okayama area, I use to take limited express to travel around 松江 鳥取 米子 倉吉 快捷舒適 it save more time to travel and 超值優惠 buying in Klook. Highly recommended and the customer service is helpful. Useful and easy to use !!! definitely worth the price if you are travelling through matsue, izumo, iwami ginza and tottori. 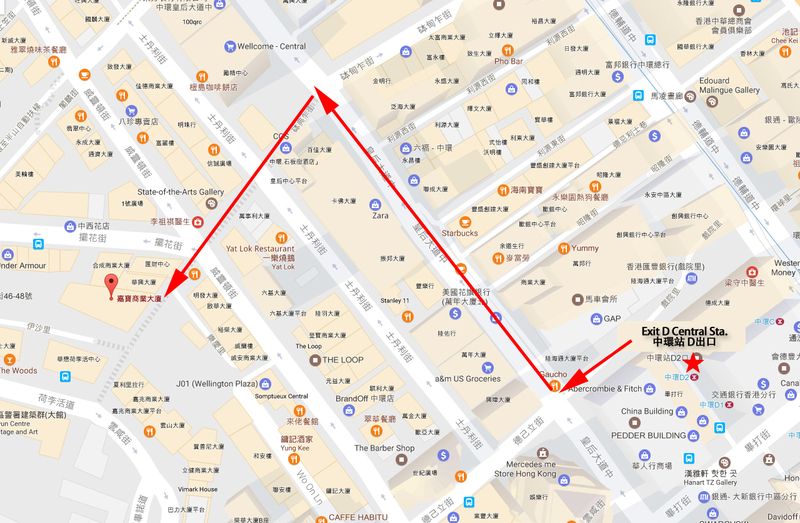 But it is only valid for four days so users will have to plan their route carefully. Useful and easy to use !!! definitely worth the price if you are travelling through matsue, izumo, iwami ginza and tottori. 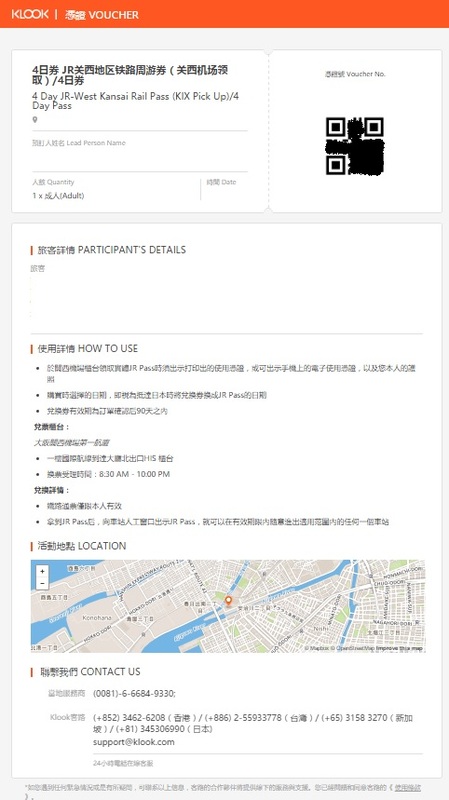 But it is only valid for four days so users will have to plan their route carefully. Very cheap and useful. Very cheap and useful. It is a lot cheaper if you buy a jr pass.The train has only a few people and it is relaxing.Even though we can’t have the reserved seat,we can still enjoy a seat. It is a lot cheaper if you buy a jr pass.The train has only a few people and it is relaxing.Even though we can’t have the reserved seat,we can still enjoy a seat. This pass provides easy access between Okayama and Tottori. It's a steal at 4,500yen for 4 days of travel, although it doesn't cover any shinkansens rides. This pass provides easy access between Okayama and Tottori. It's a steal at 4,500yen for 4 days of travel, although it doesn't cover any shinkansens rides.